The audiovisual installation Vilgiskoddeoayvinyarvi tells the story of the Kola Super-Deep Borehole, the deepest man-made hole on earth - more than 12 km deep. It started as a Soviet research project during the Cold War. In addition to gathering data about the geology of the earth's crust it formed part of Project Globus, a network of seismic listening stations which was to act as an early warning system for natural disasters as well as for monitoring enemy nuclear tests. After the fall of the Soviet Union the project was slowly wound up and the site was abandoned in 2008. The rock strata that are visible in the core samples extracted from the borehole tell the story of the formation of the earth and of ultra-slow processes that are still taking place within the earth's crust. Thinking at this geological time scale puts human endeavour and progress into perspective. At the same time, the borehole and the image of drilling so deep into the earth, inflamed the imagination of evangelical Christians with an image of Hell and of Dante’s descent into the Inferno. The sounds of screams emanating from the inferno circulated on the internet purporting to have been recorded by the Russian scientists - probably a montage of horror-film soundtracks. Justin Bennett reworked these facts in a multimedia installation in which we meet Viktor Koslovsky, a geologist who worked on the project until it was shut down. Ever since, Viktor has stayed on-site, carrying on the work as much as possible. 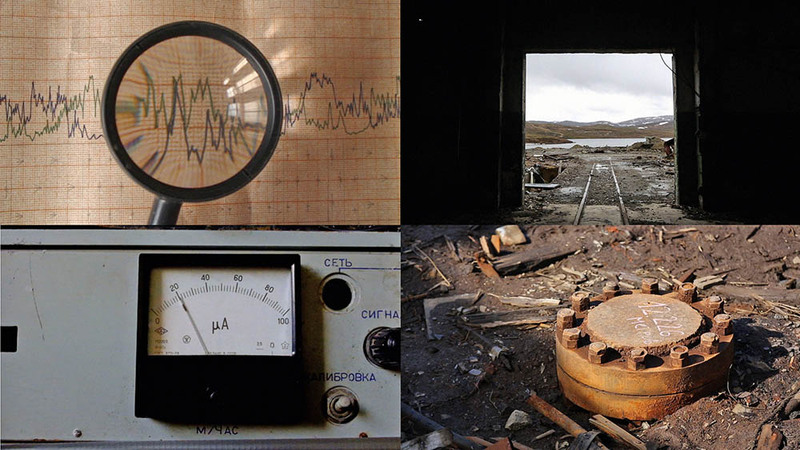 He recounts the history of the Kola Borehole, relating it to other cold-war science projects, to the geology and history of the area, and to his own personal story of living there alone. He guides us around the ruined site, introducing his living quarters, his small laboratory and of course the borehole itself. He explains his work, listening to vibrations deep within the earth, linking geology with Sami shamanism and divination. Viktor's drawings and charts along with historical photographic material are shown alongside the video images and sounds.